Over the past week, I’ve done a lot of dancing in my office chair. You see, my private Facebook group, Productivity for Women Entrepreneurs (join us! ), DOUBLED in size last week and I do a little happy dance everytime someone requests to join. I’ve spent some time thinking about this the last few days. The truth is, there’s a lot of things that can contribute to that situation. This week, I want to talk about the difference between urgent and important. While they are related, they are not the same thing. Let me share a conversation I had with someone a while ago. Rhonda and I were talking (that’s not really her name) and she shared that she needed to make more money that month. So, we talked about everything she was currently working on and wanted to get done. I’d like to say that I’ve never heard anything like this before, but I have. 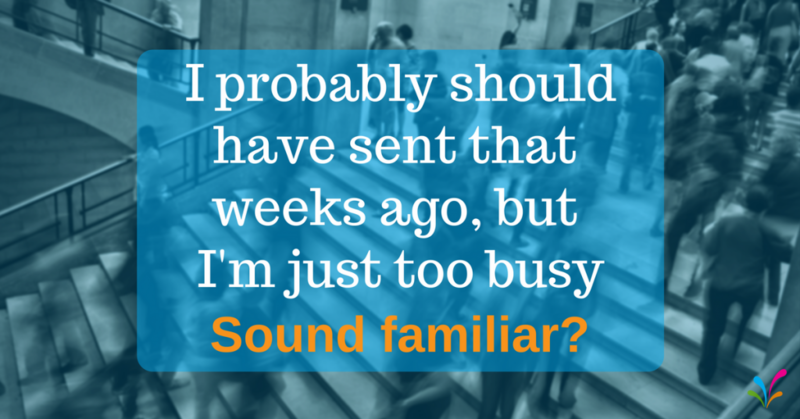 Because sending an invoice is important, but it’s not always considered urgent – until it’s really urgent. However, it is something to look at. So, for this week’s Wednesday LIVE with Evie, we’ll be talking more about the difference between urgent and important. You can watch the video here. 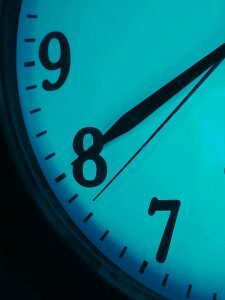 We all have 24 hours in a day, how are you going to use yours? This quote, as normally interpreted, says great, famous and fabulously successful people reached their goals with the same limitations in a day as you — 24 hours — and you can reach your goals too with some perseverance, smarts, and a good attitude. And would it surprise you to learn that I really dislike this quote? I don’t find it inspiring at all. Now, before you start wondering if I’ve had a bad day or something, let me share my history with this quote. I first heard this quote about a year into my business. I was overwhelmed, frustrated, and tired. My business wasn’t making any money and I was doing a lot of work for NO return. And hearing this quote when at that place, instead of seeing the possibility for myself through the quote, I beat myself up with it. I made everything I was doing and had been doing wrong and bad. Because while all those other people had created success with their 24 hours, I had put myself in debt, worn myself out, and didn’t feel successful at all. I heard the quote and felt like I should be doing more. I felt guilty for any time that I wasn’t spending being productive. And I compared everything I knew about myself to everything I knew about “those successful people.” And I always came up severely lacking. 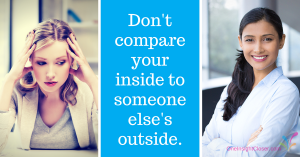 Don’t compare everything that’s going on for you with what someone else is deciding to share with you. You don’t know everything that’s going on with them that you don’t see. The problem was I didn’t know about the crappy, stressful, overwhelmed and self-doubt filled days that I’m sure all “those successful people” had — I only saw the success. But I compared my crappy, stressful, overwhelmed, self-doubt filled days to the success I perceived them to have. And it felt like someone above me said “catch this foundational tidbit I’m tossing down to you” and I looked up just in time to see a brick hit me in the forehead and knock me to the ground. Ouch! Next time can I have a hug instead? When I heard this quote all I could see was how I was failing to use my 24 hours — I was doing it wrong. Crap. So, that’s why I don’t care for this quote, because when I first absorbed it I used it to knock myself down and not to build myself up. This is also why you’ll never hear me repeat this quote. It might be wonderfully uplifting and motivating to people who are feeling excitement and success, but to anyone who’s feeling overwhelmed and doubting themselves, they might hear this quote the way I did. Hearing this quote, or any other motivational quote, and feeling beat up by it is okay. It could be an indicator that you’re a stressed or overwhelmed. That’s valuable to know. 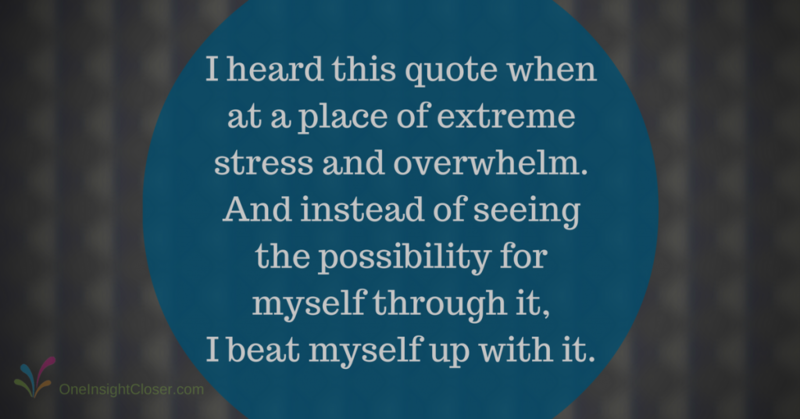 When you know or recognize stress or overwhelm, then you can do something about it. If you say this quote, or any other motivational quote, and the person hearing it doesn’t take it the way you intended don’t make them wrong about their interpretation. Do notice it. Do get curious. Ask how they interpreted the quote and talk about it. And this has made me wonder: what uplifting quotes do you find annoying or have you beaten yourself up with in the past? Share in the comments below. Have you ever had a decision to make or a problem and wished you had someone to share the situation with and receive some guidance? Thankfully, I do have that, I have friends and am in programs that provide helpful and useful thoughts, opinions, help, support, and guidance. Some are more formal relationships and others are more laid back. And there are different things that I bring to different people/groups. It depends on the relationship. One way that I’ve received guidance, is through business mastermind groups. 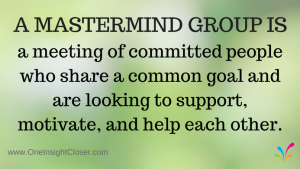 I have a long love affair of mastermind groups – I joined my first business mastermind group in 2010 before I had a business! It was great. I was in a group with established business owners (people who had businesses with clients that paid them!) and up-and-coming business owners (people who had businesses with clients that paid them, but not enough) and there was me and aspiring business owner. I thought I’d have nothing to add to the conversation, but I did. While I couldn’t share advice or stories around what had worked for me in business, I could share what would appeal to me as a potential client. I learned a lot from that group and am still connected with many of the ladies. My other experiences with mastermind groups have been just as wonderful and each was set up differently. Each group has its own feel – and I always get what I need from each of them when I fully show up and participate. I’ve brought many topics to the various mastermind groups I’ve been a part of – marketing questions, frustrations, and struggles I was working through. And each time I received insightful questions, suggestions, and guidance. And I’ve found for myself, business masterminding is most helpful when I’m with a group of people who already know me and my business a bit because we see each other regularly in a structured mastermind. 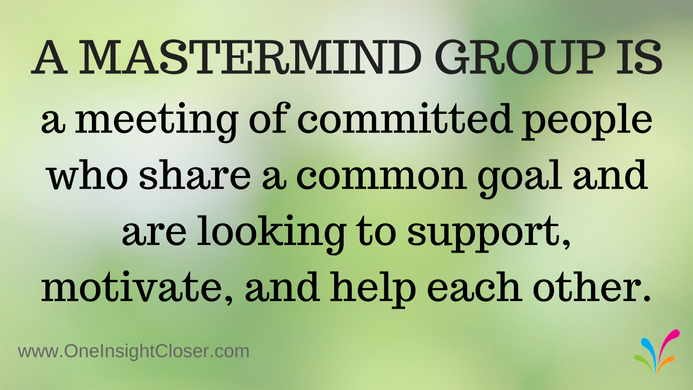 How would being in a mastermind group benefit you and your business? If you’re interested in joining a formal mastermind group, on October 12 I’m hosting a “Come try it out” morning session. You can find all the information and RSVP here. I have two groups of the Momentum Mastermind group starting, this “come try it out” session will give you a feel for what it’s all about. For me, I was waiting for a level of clarity about my business and my message that I didn’t feel like I had. What if clarity can come from doing things wrong? Shhh. Don’t tell anyone, but that’s what I did. I did it wrong. All wrong. I started promoting my webinar only 7 days before I had it. I even forgot to put it in my newsletter. I’ll spare you the long list of things that weren’t done right or even started. AND my webinar was perfectly and gloriously messy. Stop waiting. Do it anyway. And smile at the wonderful messy thing you create! Oh, and you’re bound to happen across a bit of (but not all) of what you were waiting for in the process. Have you ever had days where you just wanted to sit on the couch under a warm blanket and watch TV (or YouTube) all day? Okay, so maybe your do-nothing inclinations look different than mine, but you know what I mean. I’m not talking about the days where you just need a break and some personal time to yourself. I’m talking about the days where you just are tired and don’t want to do anything. Those days when your business just seems like so-much-WORK. Now these days can be a result of any number of things. Being overtired, coming up against your comfort zone, or it can be you’ve just ran out of oomph. What do you do on those days? How do you get your momentum going again? There are any number of things you can do. I even wrote a blog post a while ago on throwing yourself a pity party and there are a couple of great ideas there. However today, I’m proposing something else. Have you ever gotten a thank you note from a client or prospective client? Or maybe an email? The unsolicited kind are great mood lifters. However, those testimonials that you’ve asked for are pretty great too (if you don’t have any you should! That should be part of your system with your clients). 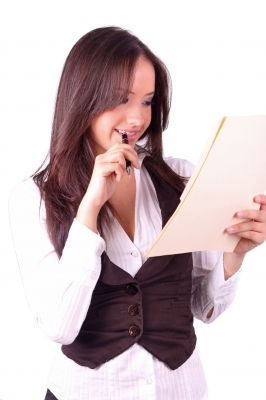 Take those notes, print out those testimonials and put them in that file. Now, anytime you’re find yourself with no oomph and want some momentum, pull out that file, read through it and remember that you have some pretty great goals and do some pretty great work. And you get to work with some pretty great people and they’re grateful that you’re there doing your work. What else will you put in your “feel good file”?